Normally called the Riviera of The East Sea, Nha Trang, which also means “white sand” in Vietnamese, has a long stretch of wonderful coastline; miles of sandy beaches with mountains at the end, historical attractions, and a few great beaches close by along with over 19 islands. It is no wonder that Nha Trang nowadays is among the most popular destinations for tourists, both domestic and international. Actually, Nha Trang is commonly known as a beach city of Vietnam which belongs to Khanh Hoa (Khánh Hòa) Province. Also, Nha Trang is the center for politics, culture, economy, science and tourism of Khanh Hoa Province. When traveling to Nha Trang, you will not only be able to discover a lot of worth-visiting attractions, but also have a chance to experience and enjoy a number of both meaningful and fun activities. There are a variety of things to do in Nha Trang. The ideas range from going for sightseeing, swimming, to taking in the pleasure of viewing the exotic wildlife. If you are looking for what to do when visiting Nha Trang, then note down some points in this article before departing your trip. Nha Trang has some beautiful waterfalls and the most well-known among them are Ba Ho (Ba Hồ) and Fairy Spring Waterfalls. 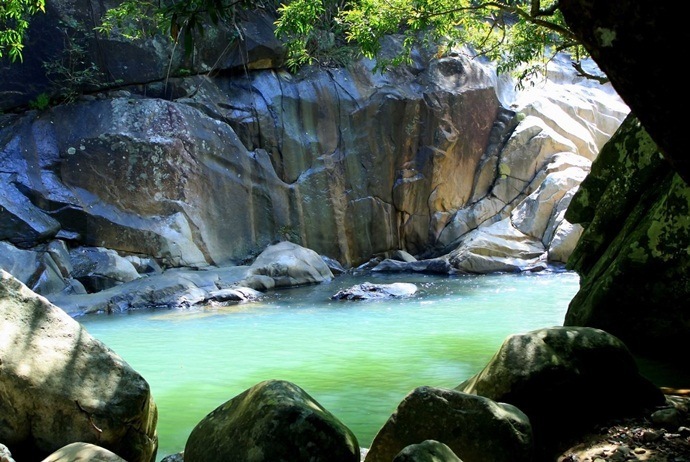 So, one of the most interesting and also challenging things to do in Nha Trang is waterfall crossing and trekking. Ba Ho is a series of three waterfalls which are worth spending one hour of your trip from Nha Trang and could be counted as one of the most impressive Nha Trang attractions. On the other hand, the Fairy Spring waterfalls are actually a steam of water doubling up as a swimming hole in summers. Nicely surrounded by lush greens, those waterfalls are a reminder of the fairytale jungles that we have all at least one times heard about in the childhood. Diving and snorkeling might be the most popular things to do in Nha Trang that almost tourists enjoy. Just simply tread a little offshore and you will find many islands which offer this type of activities. 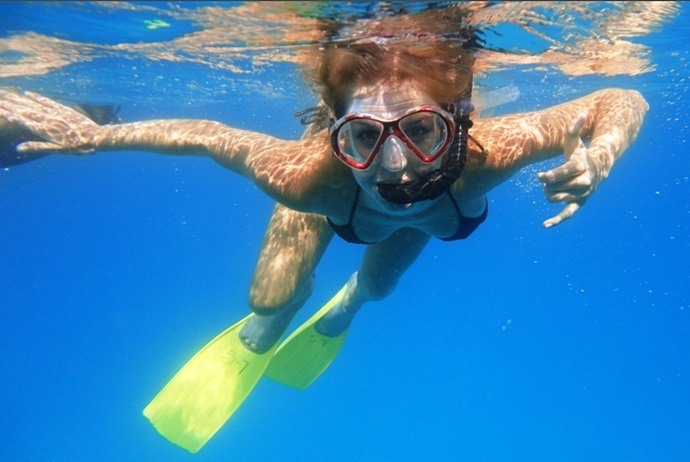 However, if you are interested in snorkeling, the best idea is to avoid the windy season from October to December as the weather is not ideal for snorkeling. While snorkeling, you also have a chance to see the underwater life. And, if you want to get a scuba certificate here, then it is also a good idea. In reality, Nha Trang nowadays has over 10 dive shops, so it is a “buyer-friendly” market. Those people who are looking for certification will find that the amount of money they have to spend here will bring a huger value, with PADI open-water courses provided with full equipment rental. However, there is an advice from experienced travelers is that, as with other places in Asia, you had better check what you are achieving for your money and warrant that you speak to the Teacher or Instructor, not just a simple “salesman”. Remember, diving, particularly training, should not be assessed and chosen by just the price. Rainbow Divers (PADI-National Geographic Dive Centre): No. 90a, Hung Vuong Street. When it comes to sailing in Nha Trang, there are various places to go around here, and also a lot of boat companies offering boat trips. This is a great chance for you to see the different islands off the mainland and a trip will often include snorkeling, a visit to the aquarium along with a fish farm plus with plenty of boat grub and alcohol. Generally, these tours are aimed towards the crowd of 18-30 people. 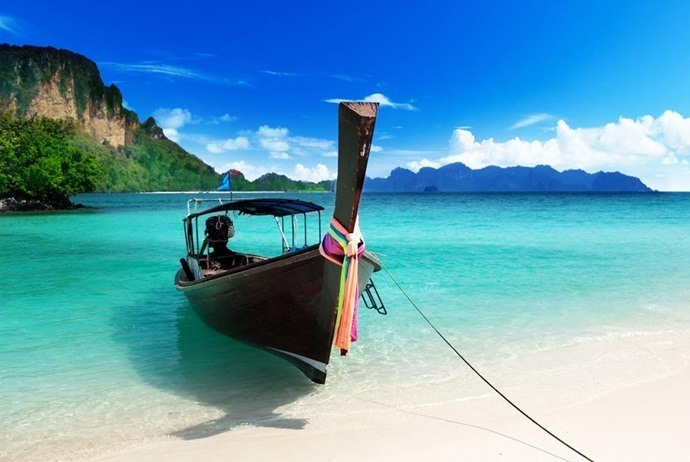 Shop around to find a boat trip that suits your need. It is ideal if you would like to see more of Nha Trang than just the simple mainland. One of the main things to do in Nha Trang is shopping. Tourists could purchase a variety of items from both the outdoor shops and malls. They will find handicrafts, dry seafood, clothes, and other items. The majority of people will enjoy having their meals at the rows of restaurants which face the bay in Nha Trang’s northern part. Travelers coming to this city find it almost impossible to feel bored. It is because they could indulge in different activities and its night life is wonderful. 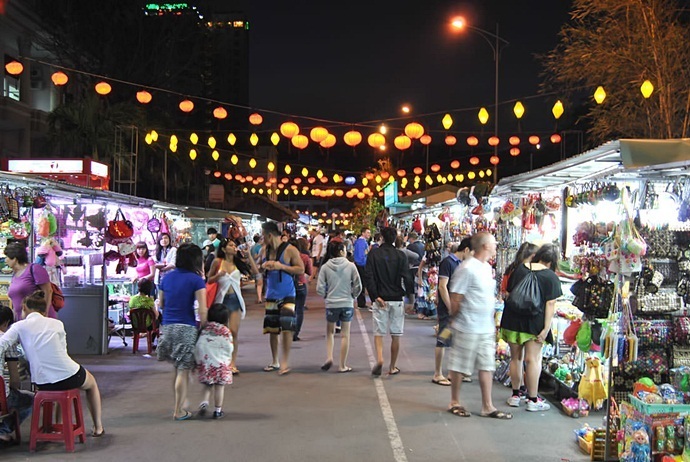 Among common destinations for usual shopping Nha Trang is Dam Market, also known as Cho Dam (Chợ Đầm) in Vietnamese. Cho Dam is considered as the biggest market in this vibrant city and its central hall presents everything from clothes to watches. Looking for doing some relaxing activities? Do not leave your desk till discovering the suggestion of things to do in Nha Trang below! Having a series of amazingly beautiful beaches, famous beaches in Nha Trang boast their reputation. 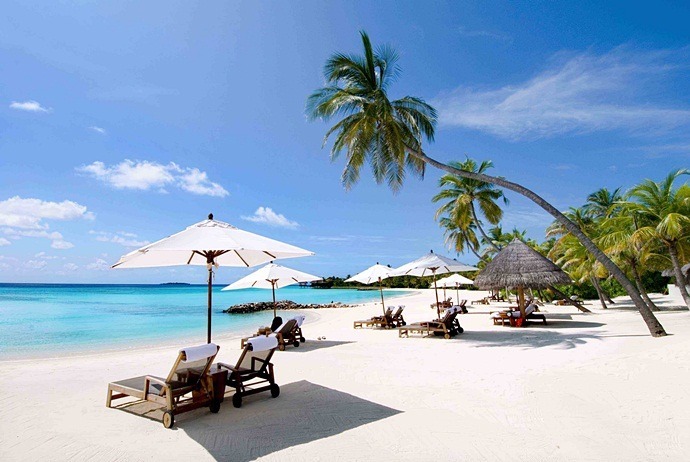 The most famous is Nha Trang beach, which has clean blue water, swaying palms, and a pleasant promenade. Though in the midday heat, it s rather quiet, in later afternoon, there are a large number of locals and visitors walking around here and having a great time while children’s screams sway the air accompanied with every wave. The square, the promenade, and the sand at the Lotus Tower on this beach are incredibly available with activities. While walking along the streets of Nha Trang, tourists will cross a lot of street vendors as well as their tasty home prepared meals. Because this is a coastal city, so Nha Trang seafood is fresh and bountiful. Actually, in order to try the real taste of street food, it is recommended to get out of the tourist centre. There are some good places to eat while walking distance or hiring a short scoot with xe om. Thit bo nuong la lot (Thịt bò nướng lá lốt): this dish is a popular street snack often eaten in the late afternoon. Beef is deliciously wrapped in lo lot leaves and then grilled. The leaves will impart an herbal flavor to the beef meat while still holding in the tasty juices. The best place to try this food is on Bach Dang (Bạch Đằng) Street, right at the intersection with Mac Dinh Chi (Mạc Đĩnh Chi). Here customers will sit on miniature plastic stools and enjoy the food while also seeing the daily lives of people walking around. In addition to Thit bo nuong la lot, you also enjoy other tasty snacks, including Banh Trang Nuong, which is made by grilled rice paper topped with some simple ingredients like green onions, quail eggs, minced mushrooms. This smokey, savory and crunchy treat just costs you no more 10,000 VND each. Nem nuong Ninh Hoa (Nem nướng Ninh Hòa): this is a type of food suitable for dining experience. Found throughout Vietnam, but Nem Nuong in Nha Trang is particularly different from that in other cities. Originated in Ninh Hoa district, nem nuong Ninh Hoa is now well-known in the whole city of Nha Trang. Your dish will be filled with platters of the grilled pork meat balls, rice paper, lettuce leaves, fresh herbs, rice vermicelli, garlic, and chilies. As a customer, you will make wraps by your own and then dunk the roll into the tasty fish sauce which is sweet-spicy. There are some places for you to try nem nuong Ninh Hoa, which are at Ngoc Tien (Ngọc Tiên) (No.59 Le Thanh Phuong (Lê Thanh Phương) Street), or at Nem Dang Van Quyen (Nem Đặng Văn Quyên) (No. 16A Lan Ong (Lãn Ông) Street). Banh Can: another great street food in Nha Trang to enjoy is banh can, which are mini rice flour pancakes skillfully topped with fresh /dried meat and seafood, egg, cooked in the round pans over hot coals. These pancakes are well served with fatty pork meatballs along with shredded mango (green type). In order to eat, you need to add three parts mentioned above into a bowl which is dressed with chopped green onions so that all the flavors will get soaked up. 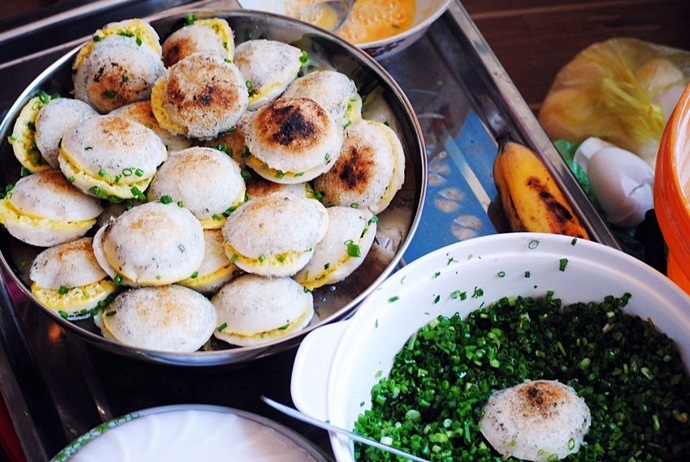 Now, you could find Banh Can (bánh căn) all over Nha Trang. According to many experienced tourists, the best place to try this dish is at no.51 To Hien Thanh (Tô Hiến Thành) Street. 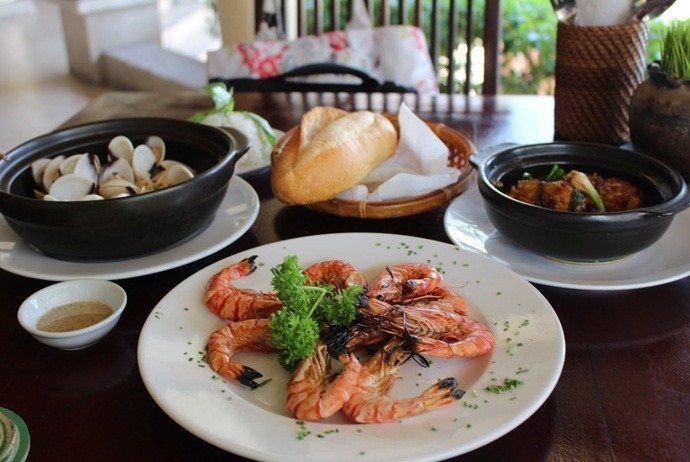 Seafood: Nha Trang is very well-known for its seafood (hải sản). If you want to get the best experience, it is recommended to head to the seafood restaurants in Nha Trang, but enjoying seafood along the beach supplied by local vendors also brings to you a unique experience. Normally, seafood is priced by its weight. Just simply eye the display of the creatures put in buckets and on ice, then point at the items you want and ask for the price per unit. With the price agreed between you and the vendor, indicate the amount you want, watch the vendor weighs it and write it on the bill. You can choose the seafood you want by yourself and then decide how you want it be cooked here. You could often choose barbecued, steamed, hot pot or fried. Just a plate of steamed squid along with four prawns fried with shallots is enough for an individual to enjoy. Do not enjoy the food without having a Saigon beer to flavor up your experience. However, it is worth noting that Vietnam could be hard on vegetarians (chay) because many of the Vietnamese dishes as well as street food often has some kind of seafood, meat, or fish sauce. However, herbivores could still try some versions of classic Vietnamese eats such as grilled lemongrass grilled with beef or pork wrapped in lo lot leaves, with a little bit mock meat made of bean and soy. 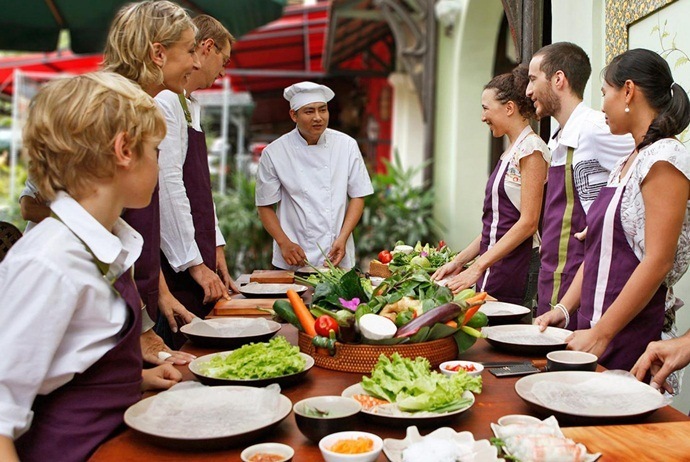 Because Vietnamese food is starting to be recognized and appreciated all over the world, joining in a cooking class is a great idea for any tourist to experience this wonderful cuisine in the closest way. A half of day of taking a class often starts with a trip to the nearby market to select and buy fresh herbs, meats and spices. Then, when coming back to the kitchen, you will know how to deal with a wok and the right way to chop, slice and grind. Another great idea in this list of things to do in Nha Trang is to take part in Nha Trang Paintball. The Nha Trang Paintball operates two paintball excursions per day. 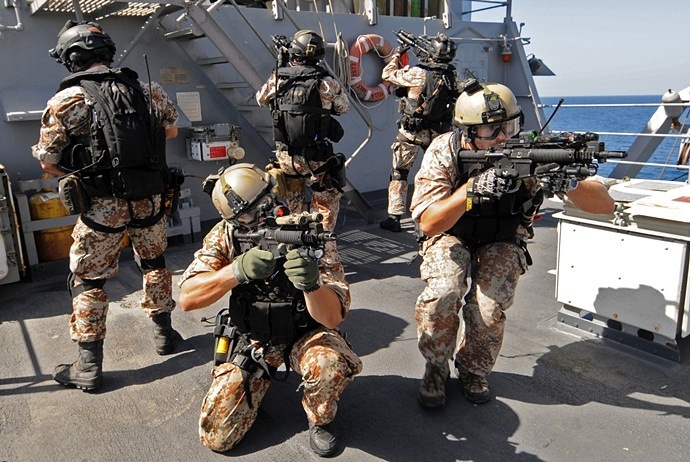 As a player, you will be provided with a gun, necessary equipment and protective gear. Then, the instructor will divide teams to compete with each other for the matches. If you are interested in this activity, then do not forget booking in advance. Bring your personal towels along with clothes to change after finishing the game. Though sitting in a mud tub sounds a little bit odds, it has become one of the must-try things to do in Nha Trang. 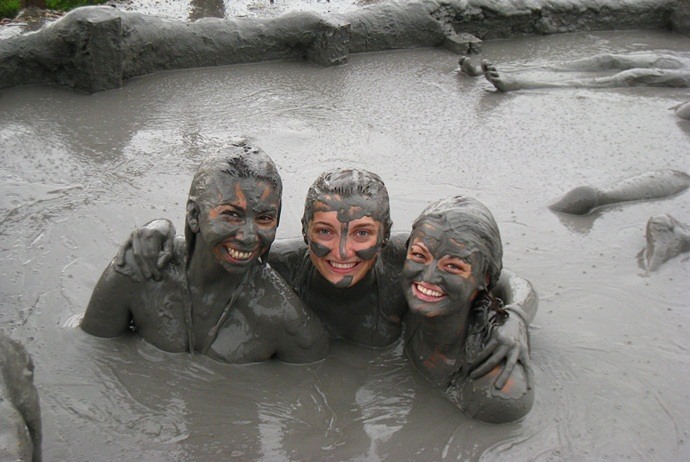 The mud is claimed to have various benefits for health, particularly thanks to its healing properties. Believe it or not, the salty mineral water as well as mud baths could help eliminate dead skin cells, promote your body absorb minerals, increase dieresis, strengthen your bones, decrease stress and fatigue, relieve aches, rheumatism and trauma, make your own skin fine and smooth, decrease blood sugar level, balance the decrease of chloride and support with some urinary tract problems. So, if you feel a little bit embarrassed when sitting with a stranger in the tub, then think about these benefits. 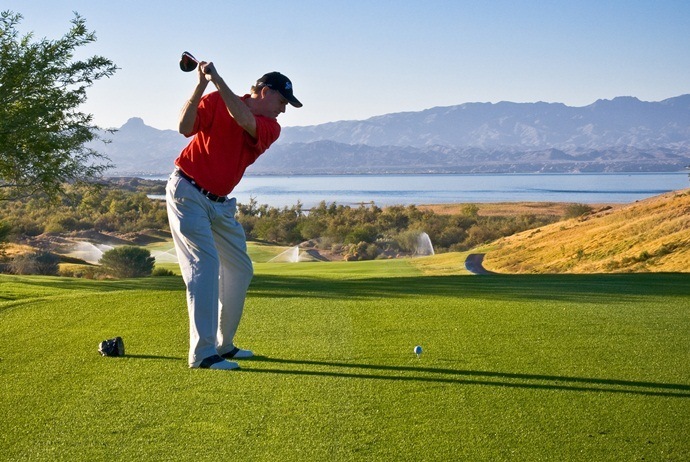 If you are a person who loves playing golf, then you will not feel alone in Nha Trang as there are some professionally designed 18-hole golf courses in Nha Trang, including Vinpearl Complex, Diamond Bay Golf Course. Keep reading this detailed list to discover more interesting things to do in Nha Trang, Vietnam that will strongly amaze you! 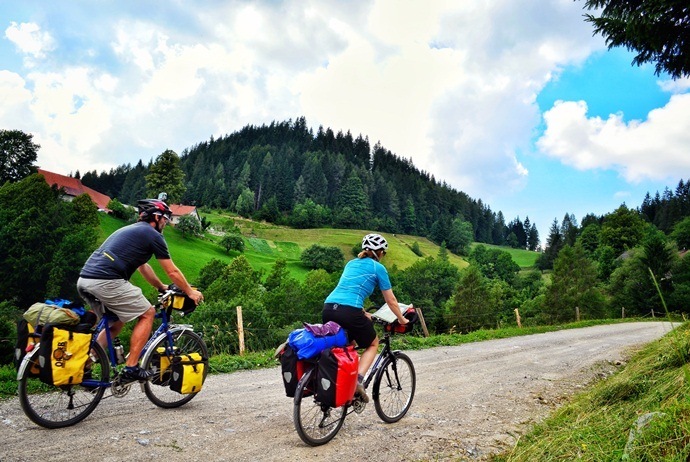 Bicycles and motorbikes are available for tourists to rent from shops and hotels in the tourist centre of the city. In case you do not care much about the heat, then cover sights in the city, such as Long Son (Long Sơn) pagoda, markets, Ponagar Cham Towers by riding bicycle. 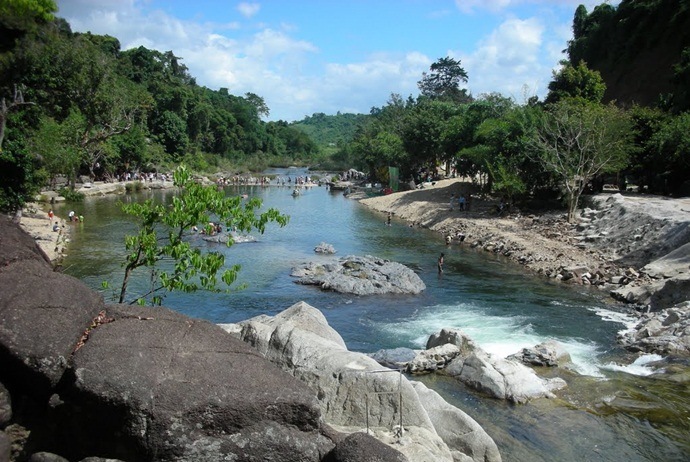 For those who want to hire a motorbike, then day trips to Ba Ho (Ba Hồ) Waterfalls, the mud baths, Doc Let Dốc Lết Beach, Bai Dai (Bãi Dài) Beach are interesting ideas. Actually, driving in Nha Trang might be less intense than in other busy cities of Vietnam, like Ho Chi Minh (Hồ Chí Minh) City and Ha Noi (Hà Nội), and the pace here is rather slow. Nonetheless, Nha Trang should not be your first try when it comes to driving a motorbike. If you want to rent, then the motorbikes will cost about 80,000 VND each day, while the automatic scooters will cost about over 100,000 VND each day. Now, helmets are required by Vietnamese law. While motorcycling, you should be careful of roundabouts and watch out for trucks and buses – remember the bigger the vehicle is, the less the person driving it will danger both their lives and others’. A variety of motorcycle tour enterprises are available in Nha Trang and “Easy Rider” is a great option. If you want to enjoy the great, peaceful countryside of north central coastal region of Vietnam, then riding a bike is the best way to do. There are some organized tours which will take you through rural areas while also guiding you to visit some historic sites. You can combine riding bicycle with rafting down the Cai River (Sông Cái). Normally, tours include light lunches. Flanked by over 70 islands, Nha Trang’s sea water is clear so plethora of boat trips along with the easy availability of booking agents is really a self-explanatory. The common trip route includes Mun (Mun), Mieu (Miễu), Mot (Một), and Tam (Tằm) islands. A trip on a packed boat often includes lunch, transport, and a few stops for sunbathing at beautiful beaches along with an aquarium with no fees. While walking Nha Trang’s tourist centre, you will see a few places presenting the title of blind massage. Just one hour of body massage costs less than 100,000 VN. It brings an experience similar to hybrid between being tenderized with a tough steak and Thai-style pressure points, throughout your whole body, from head to toes. The strokes actually are vigorous and massagers do not use hot stones. Built in Hon Tam Island, the newly renovated centre for hot air balloon rides operates near Pham Van Dong (Pạam Văn Đồng) Street. 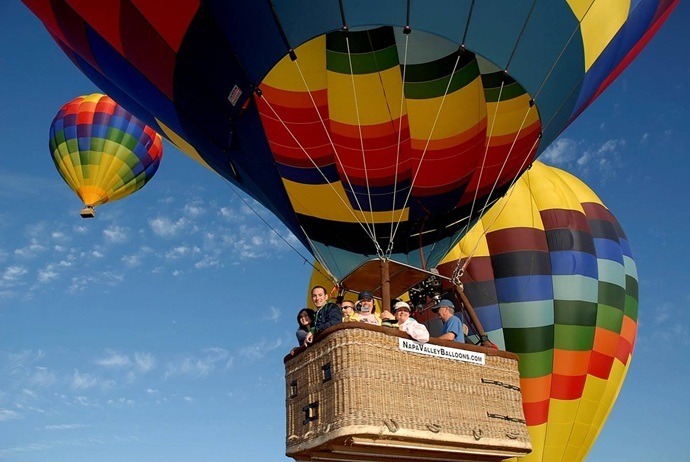 The hot air balloon has a protective net plus with solid handrails. The rides will take you to the height of 150 meters with about 15 to 20 stop for you to enjoy the spectacular panoramic bird’s eye view of the whole Nha Trang city. 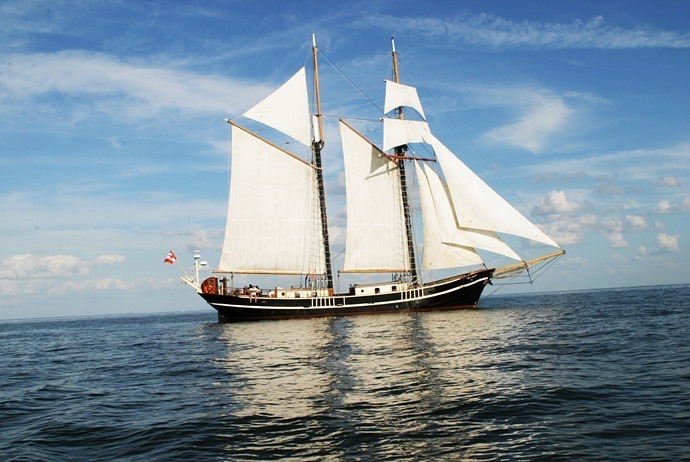 You can also take unique, breath-taking aerial photos of the bay as well as the sea beyond. 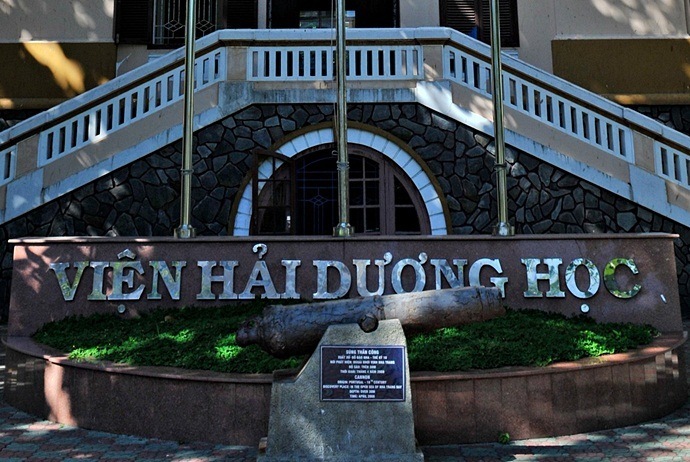 Another idea in this list of great things to do in Nha Trang is checking out the National Oceanographic Museum (Bảo Tàng Hải Dương Học Quốc Gia). Located at the far south end of this city, the museum is ideal for those who are not the fan of diving as here they will find tanks of marine life along with stuffed birds as well as sea mammals. 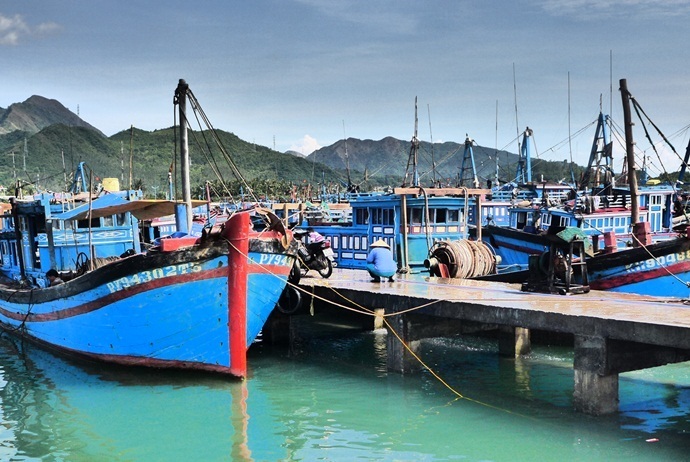 Visiting around 10 kms south of Nha Trang, you will find a few floating villages. These places have majorly been populated by poorest people over many years who cannot afford a true house on land and they nearly make a living out of fishing farming and fishing. Nowadays, they could also make an additional income from tourism in places like Nha Trang because a lot of tourists like to pop by and witness the special way of their life. Visiting around the village on their small boats is really a well worth experience. The easiest way you can do it by ordering one of the organized boat tours out of the city center, and also making sure that the boats popping by the floating villages. The cable car linking Nha Trang to Vinpearl has a length of over 3km and is held over 9 pillars. Before this transporting form was developed, there is only one way to reach Vinpearl – by boat. The cable car of Nha Trang travels a distance of about 3320 meters, contains 65 booths, where the cabins could accommodate up to 8 individuals. It is capable of transporting of about 1500 people each hour and is considered as the longest ropeway in both Vietnam and in the world. With just 9 minutes, you can go from Nha Trang to Vinpearl by using a cable car. Previously, the ferry takes about 20 minutes while the boat takes 7 minutes. So, this cable car is not only the most shortest and convenient path to Vinpearl, but also allows tourists to see the spectacular view of the privileged bay of Nha Trang and Nha Trang city from above. It is recommended to enjoy this experience at night as it will give you a really special moment to witness the whole Nha Trang in beautiful night lights. The last idea when it comes to things to do in Nha Trang is heading to Yang Bay, a charming excursion from the city. Upon getting there, you can find three separate sets of falls: Yang Bay, Ho Cho, and Yang Khang. Nevertheless, when getting to Yang Bay, it rather matters to climb to discover all of three waterfalls. Being surrounded by mountainous and forestation terrain, it is a good idea for those who want to escape from the crowds of the beach for a while. I have picked up a few great things to do in Nha Trang along the way in my list. In general, Nha Trang has a remarkable range of fun activities catering to most market segment. Don’t worry if you travel with your family as there are also various family activities and children will be never bored when holidaying anywhere in Vietnam. And, for singles and young couples, Nha Trang also offers an exciting experience and is reckoned as one of the culinary Vietnam’s centers. 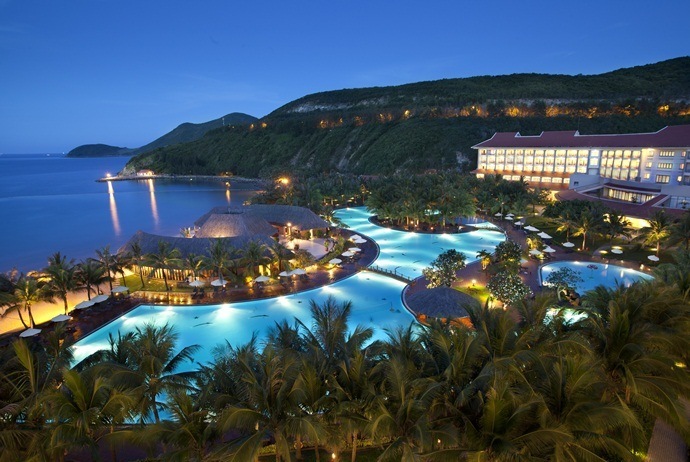 If Nha trang does not leave an unforgettable impression on, then I bet that nothing in Vietnam will. If you have any contribution about this topic of things to do in Nha Trang, then do not hesitate to leave your words below this post. We appreciate all contributing ideas!